We celebrated the end of the Summer with Demo Night - where we invited the community to apply for one of ten opportunities to show their wares. It was a tough decision, but we got there in the end, with a diverse mix that kept the audience rooted to their seats! There was a packed room for Demo Night to kick start the Autumn season. Over The Air, 27th - 28th September needs a sponsor to release more tickets - contact @MobileMaggie if you can help! Win a stand at Mobile World Congress 2014 - courtesy of ICT KTN and UKTI! Details are here. Deadline: 5pm 25th October 2013. Finalist event is at Mobile Monday London on 4th November. Discounts for businesses who want to send participants to The Mobile Academy: discount code "momolo" book here. First to start was Tom Wood, MD of Kudan, @KudanAR - an Augmented Reality Agency 'that doesn't do gimmicks' who then went on to show a rather gimmicky presentation (by his own admission) including a sample of the incredible work they've been doing for Audi..
Terence Eden, @edent from Telefonica then showed us Blipdrop - 'an experiment in ephemeral media' - it is an App powered by O2's The Lab. The idea is that instead video's lasting 'forever' on the web, you can post a video that lasts for a snapshot in time and is only accessible to someone (in fact 'anyone' from Facebook/LinkedIn communities) within close proximity of where the video was taken - who needs a big TV budget now? Edward O’Brien from InfoApp Manager @AppQuik explained his mobile app platform called AppQuick, that is a drag and drop platform sitting inside SharePoint. Due to its technological efficiencies, it aims to reduce enterprise customers costs by 30%. 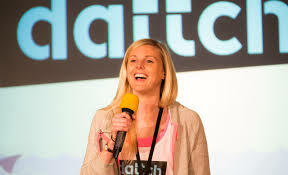 The effervescent Robyn Exton, @robynexton, founder of Dattch and an alumni of The Mobile Academy, currently participating in the WAYRA accelerator program, wowed the audience with her Lesbian-dedicated dating site, claiming that whilst there are as many gay woman as gay men in the UK, no Lesbian dedicated dating sites exist... The crowd genuinely gasped with praise for having found a niche in this incredibly competitive space. 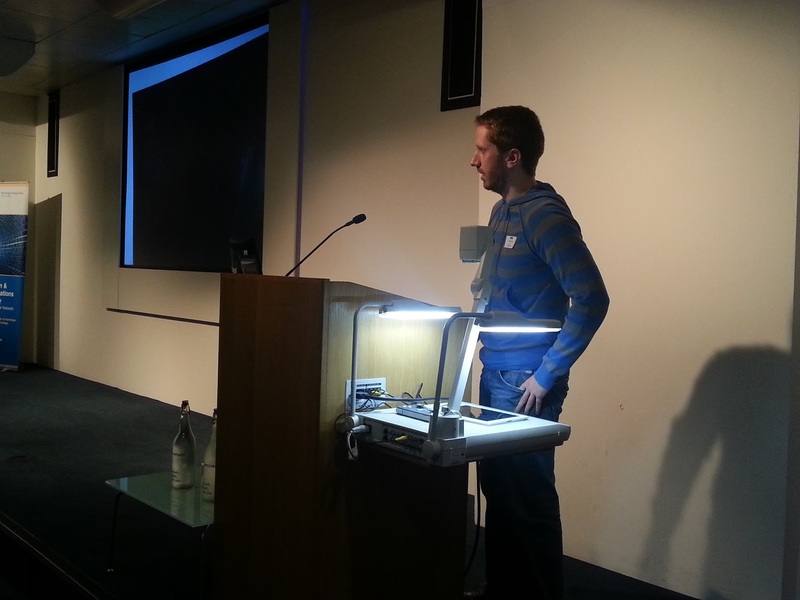 Next up was Owen Day, with JustRide from Masabi, @Masabi_com. Owen presented his JustRide App that enables travel service providers to purchase and display tickets on their smartphones. They're currently rolled out in Boston, San Diego and New York and Owen unashamedly did a shout out for resource whilst doing a live ticket-purchase demo. And a quick nod to the power of MoMoLo, as the CEO met both employees (including Owen) and investors whilst presenting at a Demo Night 5 years previous. The energetic Holly Clarke demo'd Yaarly, @YarrlyApp, (made in her bedroom) quirky remixable photo app. When asked what her revenue model was, she responded that she'd just started a role at Airbnb ... the great insight from Holly was that rather than block users for uploading inappropriate content, they just break the App for that individual user so that they just think it is broken and cease use. Great idea! Then we welcomed Richard Russell, founder of Wlcome, @wlcomeapp, from High Street Labs. It is a virtual loyalty and reward card, using the latest geo-fencing technology that you don't have to install - so security issues hopefully addressed! Jon Mundy, @jonmundy, Head of Commercial Development for Zapp360, a solution to the poor results arising from advertisers and publishers shoe-horning web-based advertising onto mobile devices. His App creates a 130 character banner that subtly moves across the mobile page, creating a more mobile -friendly user experience, and is generating some impressive click rates. 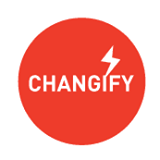 And finally, Priya Prakash, the founder of @Changify, presented her innovative crowd-funding platform that seeks to use community resources to fix community challenges, to change the face of neighbourhoods as neighbours come together to fix local issues. The evening rounded off with networking drinks and a chance for the attendees to chat further with presenters and play around with their Apps. An engaging, informative, entertaining and thought-provoking night all round.